I own a couple of conditions known as arachnoiditis, RSD (Reflex Sympathetic Dystrophy) also known as CRPS (Chronic Regional Pain Syndrome), and I own all that comes with those as well. My journey began in October of 2009, when a spinal cord injury was inflicted upon me from medical harm and negligence in October of 2009. I was not sedated in the least, not even with a valium, as the needle from a lumbar puncture was driven into my cauda equina puncturing my spinal nerves and ripping the dura sac by the hand of the doctor performing the procedure without an assistant, who got off balance. I had a very dear friend in the room with me holding my hands as this happened. My life was forever changed. Throughout my journey, I have suffered torture, hell. I have suffered tortuous levels of pain that have left me in emergency room countless times, and numerous one and two week hospital admissions. I’m not sure at the time of writing this how many times I had learn how to walk again, constantly retraining my brain and pushing myself along the way. However, I did keep copies of my medical records, and I documented my medical journey since the day it began. I just recently began to review my personal documentation and will be publishing the whole story in an upcoming book. I will be sharing bits and pieces of my journey on my blog, including my challenges, treatment program, and random articles sharing knowledge, information, and inspiration. I am often labeled as a poster child for medical malpractice/negligence and arachnoiditis, an advocate for patients and caregivers for those who suffer from chronic pain, appeared on the Dr. Oz show, and have been a guest speaker on internet radio. Throughout my journey, I have been blessed. I have also learned how strong and powerful the human body can be, and that our most valuable weapon in this battle is our brain. I have learned how to improvise, adapt, and overcome. I have learned how to own my condition, so that it no longer owns me. I have spent much time throughout my journey researching, studying the chemical, clinical, pharmacokinetic data, interactions and side effects of various medications. I have studied organic chemistry, and what I often refer to as primal medications. I’m not a surface person. I’m a core person. My brain is highly analytical. So, when this all happened to me, I had to go straight to the core. I am currently an advocate representing arachnoiditis, RSD/CRPS, Spinal Cord Injury, and many other chronic pain conditions. I am an administrator for a global Arachnoiditis Support Group. I am also a Delegate representing International Pain Foundation. I achieved my certification as Usui Reiki Master Practitioner in October of 2015. I am also an advocate for animal cruelty and neglect. I am currently starting over from the bottom to establish Primal K9 Academy, and the Stand a Chance Foundation. I will be publishing information about both soon. Oh!!! One more thing real quick. I will also publishing articles regarding animals, animal and human behavior/psychology, and from time to time, yeah … I will be publishing articles regarding other various topics that need to be addressed. I began interacting with dogs and horses at a very young age. I credit my early learning of animals to my beloved Great Grandfather, Ben Hale, who passed away at the age of 101 years old. I also give credit to life, which has embedded me with an enormous amount of knowledge obtained through experience. 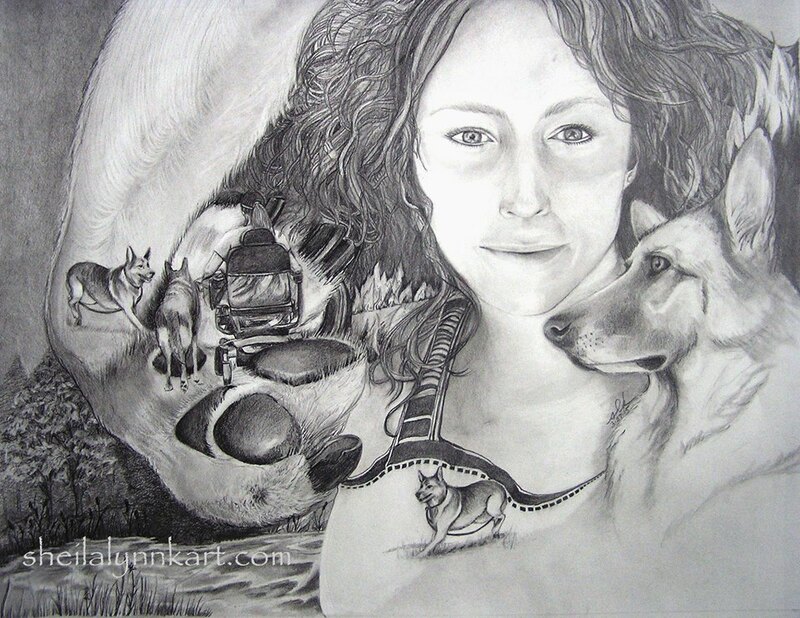 So many times it has been stated or published, “Working with animals just comes natural to her. She truly has a gift.” I would be in wrong in not acknowledging the gifts I have been blessed with throughout my life. We all have gifts, and we should share them. I give the credit of gifts to our Creator. I owned and operated K-9 Kampus based out of Arkansas until I became permanently disabled from the spinal cord injury from the botched lumbar puncture that left me with adhesive arachnoiditis, RSD/CRPS, and all that comes with it. Throughout my career, I have been in the media and newspaper articles numerous times. I began my profession in the equine and K9 industry in 1995 and since then made accomplishments in my career through furthered education, and exposure to various breeds, environments, operations and situations. I have trained and worked with numerous breeds of the horse to include the American Quarter Horse, American Paint Horse, Andalusian, Appaloosa, Arabian, Missouri Fox Trotter, Mustang, Percheron, Peruvian Paso, Paso Fino, Thoroughbred, and Standardbred. The breeds of dogs I have worked with through my years are countless. In 1997, I began going to schools to work with children in honor of my Grandfather, through the Ben Hale Forget Me Not Foundation, providing Animal Assisted Education and Conservation Programs to schools in Arkansas. The first school I presented these programs to was Vilonia Elementary located in Arkansas. In 2002, I placed Barbie, a Golden Retriever, in the first ALC classroom at Henderson Middle School in the Little Rock School District under Little Rock Mayor Jim Daily. I created programs approved by the school board that were presented by me, which they were given tests on, and graded upon by the teacher. Barbie attended school every day for a whole semester. The clinical results documented were incredible. I trained my first Assistance Dog in 1998 for a Disabled Veteran in Nashville Tn. Elka, a German Shepherd, was trained to assist the blind Veteran on his walks through Nashville and was conditioned to take him home to his front door. This is also when I began my career in the field of K9 Personal and Family Protection training and provided my dog overseas which went to an American Embassy in Indonesia, who was a German Shepherd named Joseph. I began training tracking and area search dogs in 1999 (not to confused with competition tracking on an open field) and began being hired out by private individuals to teach their family dog to be able to search-track and keep up with their children, and loved ones who suffered dementia. Since then I have trained and worked with Search and Rescue/Recovery Handler Teams and various organizations and departments across the United States and have assisted with Missing and Lost Person cases heading up search operations for Law Enforcement and Private Individuals. In 2003, I began training horses for search and rescue and human remains detection. K-9 Kampus merged with Quality K9 Concepts in February of 2008 as a partner kennel in the south. Prior to becoming permanently disabled, I was one of QK9C’s Master Trainers that also assisted in professional working dog handler courses. I also served as a Judge and Master Trainer for the American Patrol and Protection Dog Association. I have served as an Animal Cruelty Investigator for the state of Arkansas, and an accomplished Animal Care Behaviorist and Specialist. I possess a unique understanding of animal behavior that stems from several years of exposure to different situations and environments. I have an innate sense of handling, reconditioning, and providing rehabilitation for the dogs that no one thinks can be helped. Through the years I have worked with foster and rescue groups from all over, assisting them with problem solving issues, and by providing jobs for dogs that needed them. I know and understand the criteria to be met in order for a dog to be successful in the chosen to be conditioned and trained in. I have been contacted numerous times since my journey began that left me disabled and unable to work, by professional handlers, individuals, and other instructor/trainers for my analytical mind, and my ability to process through a crisis or problem situation which requires immediate attention. I was able to coordinate search operations in Montgomery County, Arkansas for a lost person and safely locate him while working from my computer at home. For that, I am truly grateful. It’s kept me in the game so to speak. In 2011, I was hired by Michelle Malkin (FOX News) to coordinate and lead search operations to clear Discovery State Park in Washington regarding Missing Persons Case Marizela Perez. I could not have pulled this off without the professional assistance from Michael Lueck (Search One Rescue Team), the Handler/K9 Teams we deployed, and Steven and Rebecca Yerger. Unfortunately, I have also had to walk away from numerous clientele and contracts during this time. A time when I should have been at the peak of my career. This link will take you to my YouTube playlist. This entry was posted in Uncategorized and tagged arachnoiditis, Awareness, CRPS, Dogs, Education, K9, MelanieLamb, RSD, SpinalCordInjury on May 17, 2016 by MelanieLamb. Great insight into living with a painful condition, and sorry that it was iatrogenic, physician-induced. Medical error is a big problem in the US, the #3 cause of death in a 2016 report by BMJ. I would like to re-print this article on 2 of my WordPress blogs, and would like your permission to do so. There is a great need for people who do not understand chronic pain to know that many conditions will never go away. For many, pain is a lifestyle. Best to you in all your endeavors, and let’s work to get the word out to more people. Take Care! Please do share. Please. I am currently traveling to others across the nation filming two documentaries in hopes of making a difference through bringing forth more awareness and education. Medical Harm No Longer a Silent Epidemic and Arachnoiditis The Web Untangled. Thank you for all that you do to make the world a better place. Sending my love to you and yours, and wishing you a most beautifully blessed day.